Giant Eagle is a supermarket that has a "giant" selection of products! Giant Eagle is a chain of supermarkets that has locations in five different states, and it's one of the biggest food retailers in the United States. The store is well known for its great selection of groceries, plus for having pharmacy services right there in store. You can get all your shopping done in just one stop, and at a great price, too. You can join their eAdvantage program to get access to exclusive discounts and deals that are only for members. 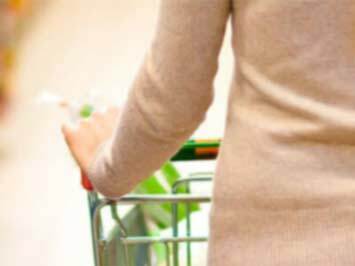 Don't forget to check out their weekly ad for the very best deals, which you can find either on their official website at www.gianteagle.com, or right here on Tiendeo! If you add Giant Eagle to your favorite stores, we'll keep you in the loop every time there are great offers to snap up. You can save money and time. Giant Eagle was founded in 1933. It started out in Pittsburgh, Pennsylvania, and the stores quickly grew around the area. They managed to make it through economically tough events to stick around today, including World War II and the Great Depression. In 1980, they opened their first location outside of Pittsburgh. That store was located in Youngstown, Ohio. Today, there are 229 Giant Eangle stores, and they employ around 36,000 people in Pennsylvania, Ohio, Maryland, Indiana, and West Virginia. It is headquartered in O'Hara Township. Everyone knows that it's important to eat a healthy diet. But with so many food options out there, it can be tough to figure out how to eat healthy food that tastes good and sticks to your budget. That's why Giant Eagle shares lots of tips with their customers so they can lead a healthy lifestyle. For instance, did you know that you can help eat your way to lower blood pressure? You can do it by having two 4-ounce servings of fish each week. Salmon and tuna are both good options. They also suggest replacing croutons in your salad with walnuts. They've got tons of Omega-3 fatty acids, which are fats that help your heart stay healthy. When there are special offers on healthy food, Giant Eagle also has recipes you can make with them. When red garpes were on sale, they posted a video that showed shoppers how to make roasted grape bruschetta. Do you want to receive more deals from Giant Eagle by email?